The Human Rights, Big Data and Technology Project, housed at Essex Human Rights Centre, (HRBDT Project) is recruiting for two PhD studentships on ‘Human Rights and Social Justice in the Digital Age’. The studentships will be associated with Work Stream One of the Project, which seeks to advance knowledge and understanding on how big data and associated technologies are reshaping the conceptualisation and meaning of human rights. The Work Stream seeks to provide insight into the nature of, and connections between, the positive and negative human rights implications of big data and associated technologies by mapping and analysing the wide range of threats posed and opportunities offered. • Current and future human rights implications of big data and associated technologies. 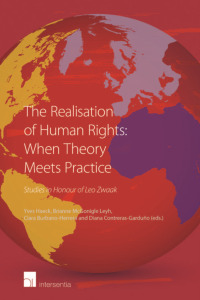 • The (re)conceptualisation of human rights in the digital age. • Safeguards for protecting human rights in the digital age. • Access to justice and remedies in the digital age. • Technological challenges posed by big data and associated technologies from a human rights perspective. • Technological risks and solutions for protecting human rights in the digital age. • A human rights-based approach to ethical considerations and concerns in the digital age. • The inter-connections between the SDGs, human rights, big data and associated technologies. Applications will be considered for a January 2018 start. Supervisors will be determined once the successful candidates’ research areas have been decided. The PhD studentship must fall within one of Essex’s SeNSS DTP accredited pathways. The successful candidates will have a first degree and a postgraduate qualification, at least one of which should be in law, sociology, philosophy, computer science, or a related discipline. Candidates with mixed disciplinary backgrounds are strongly encouraged to apply. 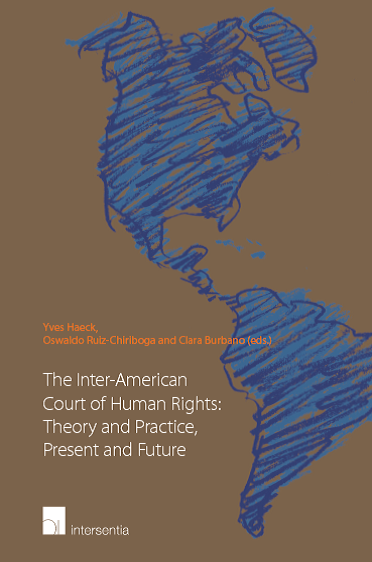 • Knowledge of international human rights law. • Awareness of potential human rights implications of big data and associated technologies. • Ability to undertake qualitative and/or quantitative research of a high standard. • Ability to write work of publishable quality. • Ability to disseminate research findings to a range of stakeholder and expert communities. • Ability to work as part of a multidisciplinary team and to assist with the broader activities of the HRBDT Project, including the organisation of meetings and impact engagement activities. The awards are for three years and are funded by the Economic and Social Research Council (ESRC). They cover annual home/EU fees, and provide an annual maintenance grant of £14,553 for UK residents. Under ESRC rules, UK residents are eligible for a full award (fees and annual maintenance grant). EU citizens who are not ordinarily resident in the UK and do not meet the residential eligibility criteria set by the ESRC are eligible for a fees-only award. Overseas students (non-UK, non-EU) are not eligible for an ESRC award. Please click here for more information on ESRC eligibility. The details of any funding package will depend on eligibility and potential applicants are encouraged to discuss their individual circumstances. Part-time applicants will be considered. Eligible candidates can also apply for a Research Training Support Grant (£750 p.a.) and Overseas Fieldwork Support (£450 p.a. ), and the successful candidates will receive Proficio funding from the University of Essex. In the recent Research Excellence Framework, 77% of research at the University of Essex was classed as ‘world leading’ or ‘internationally excellent’ (REF 2014). We offer world-class supervision and training opportunities, and our research students work at the heart of an internationally-acknowledged and well-connected research community. The holder of the doctoral studentship will be a full member of the University’s Human Rights Centre. Applications must be made online through the University of Essex’s postgraduate application page. Please apply through the School of Law. • A letter of motivation/personal statement (1,000 words), detailing special areas of interest in this field and explaining aspects of your academic and professional background relevant to the studentship. Please also specify your preferred start date. If you require a Tier 4 student visa to study in the UK, then your letter should refer specifically to your reasons for wishing to study in the UK. • Two academic references, dated. • A sample of recent written work. • A sample research proposal including proposed methodology (1,000 – 2,000 words). • Official transcript(s), in English or a certified translation, of your academic results to date, showing marks or grades. • Evidence of any academic or English language qualifications that have already been awarded and that you have cited in your application. Please notify Ms Catherine Kent at ckent@essex.ac.uk upon submitting an application. Closing date: Sunday 29 October 2017. Interviews will be held by Skype or in person at the University of Essex. The successful candidates would be expected to start on Monday 15 January 2018. Thanks for sharing a good article....it is very nice and informative blog. Good Informative post! I was looking for some short term courses.This blog has certainly enlighted me.thanks for sharing this information with us. Nice post. Thanks for sharing such a relevant information. This is really useful. Thank you for your article. free online test series for ssc, ibps, railway. These are really helpful for students and employee. Nice post. Thanks for sharing such a relevant information. This is really useful Gexton Education . Thank you for your post.online education in india with world's largest free education portal. Digital Photography Free Online Course with certificates. Online Sociology Courses Free with certificates. Learn Psychology Online Free with certificates. Basics of Cooking Tutorial for Beginners with certificates. You can certainly see your enthusiasm in the work you write. The world hopes for even more passionate writers like you who aren't afraid to say how they believe. Always go after your heart. Considering Kuppiya Jobs Sri Lanka Job Providing website Kuppiya Jobs can be considered as the one of Best Job Network. By Using this website users can get many job vacancy information as well as same of Job Application also. If you are a user of the Kuppiya Jobs website for finding your required job vacancies. Then you can select best job vacancy in the category of Kuppiya Jobs, Dinamina Jobs, Silumina Jobs, Lakbima Jobs, Top Jobs, Top Jobs Sri Lanka, Government Jobs,Private Jobs, Banking Jobs and University jobs. etc..
international human rights is a good field in a days and you describe very well in your article. You need to find a good Job? Then you need to achieve necessary requirements, Knowledge and qualifications. For that you have to follow many courses and get experiences. Therefore, Before finding a job you need to clear idea about what you have and what you need to improve. In Sri Lanka the best place of finding a job is Dinamina Jobs website. That website has many jobs related many job categories. and also they have many professional courses also. Then Dinamina Jobs website is the best place to find a good job vacancies and Professional courses advertisements. Lankatricks.com is the best online place in the Sri Lanka for finding educational resources such as Government exam papers and Knowledge like SLAS Exams, Banking Exam, Gread five scholership exam, O/L Exam, A/L Exam, University Exams, Technical knowledge exam etc. Here, Can get Exam papers, Pass Papers, Model Papers,Syllubus and many more other educational resources. Download your favorite Sinhala songs with Sindu. So, you can get Lyrics, Chords and Sinhala sindu, Sindu Potha, Sindu Sinhala MP3 for free, hundreds of new songs published everyday!